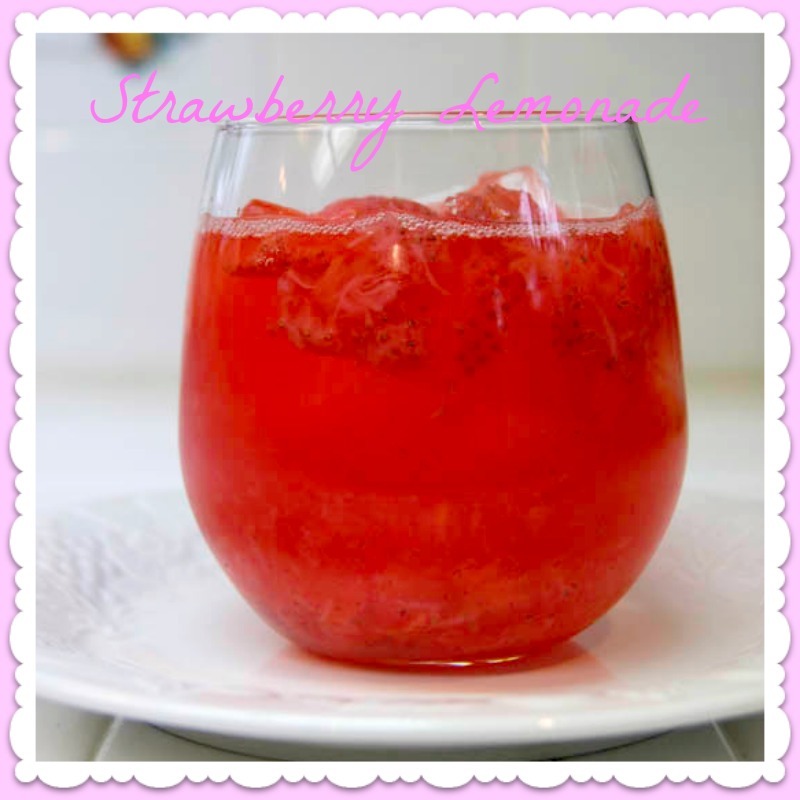 For Charly's Baby Shower I made Strawberry Lemonade, which is one of her favorite drinks. When we go to Red Robin, they probably refill her Freckled Lemonade 3 to 4 times during a meal. 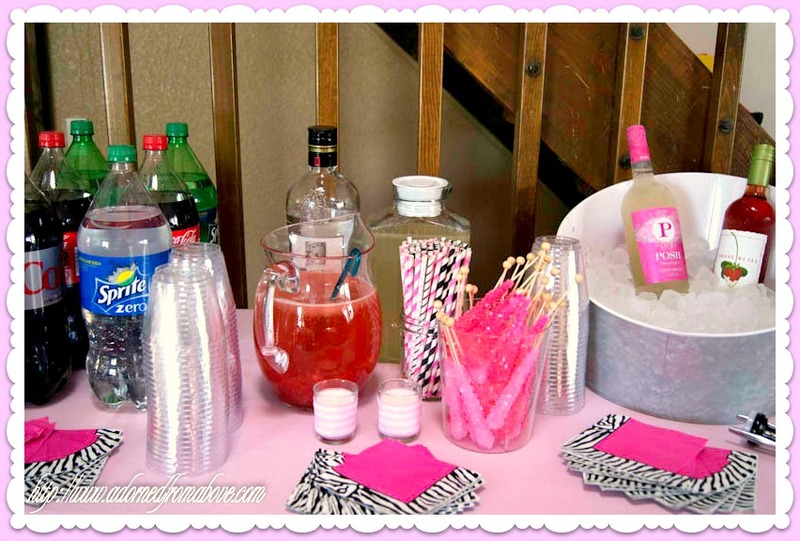 So I thought this would be a perfect drink for her baby shower, and it would even fit in with the color theme. It's a pretty easy recipe and tasted delicious. 1. Put the sugar in a bowl, add the hot water and stir until dissolved. Set aside. 2. In a separate bowl use a potato masher and mash the strawberries along with the 1/2 cup of sugar. Set aside. 3. To get the most juice from the lemons, roll the lemons against the counter until soft, this will get you the maximum amount of juice from your lemons. Squeeze the lemons, about 8 will give you 1 cup of juice. 4. Next, put the strawberries in the in a pitcher, then add the sugar water mixture, stir. Then add the lemon juice, then the 8 cups of water. Stir well. 5. To serve add ice to glass, then add peach lemonade. Put a peach or lemon slice on the side of the glass for a garnish. Yum! I love strawberry lemonade! Can't wait to try your lemonade. It looks so delicious.